In this post I’ll walk you through setting up Google Tag Manger and installing Google Analytics on your WordPress blog in 5 easy steps. 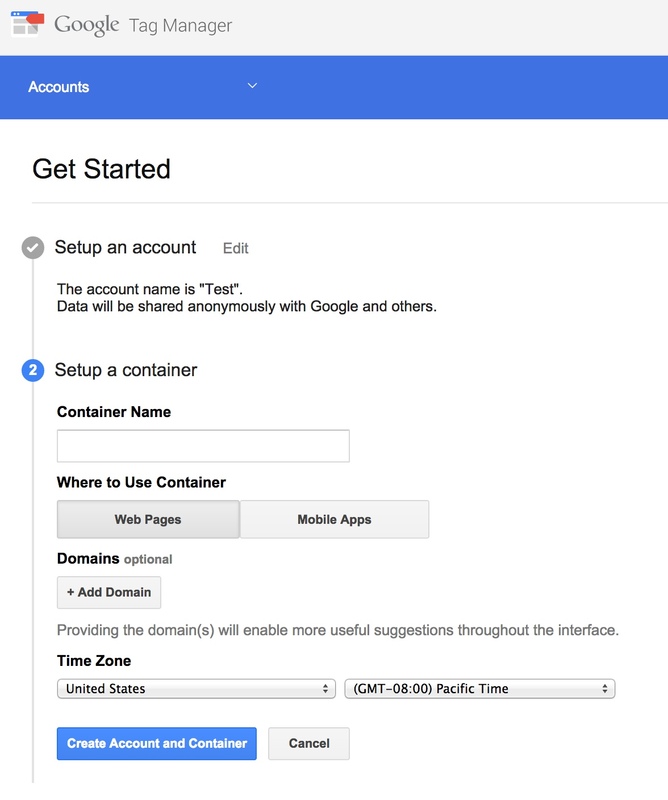 Step 1: Go to http://www.google.com/tagmanager/ to create a GTM account. You’ll get a GTM account ID, in the format GTM-XXXXXX. Copy this ID, you’ll need it in the next step. Step 2: Install a GTM wordpress plugin. I chose Thomas Geiger’s Duracelltomi Google Tag Manager plugin for WordPress because it has great reviews on WordPress and a dedicated site full of ‘how to’ resources. Once installed, enter your GTM account ID. Step 4: Preview & debug the tag & rule you just created. Click on ‘Preview’ in the upper right hand corner, then ‘Debug’ from the popup window. Once in Debug mode, open a new tab and load your website. You should see the debug panel on the bottom of the screen which will show you which tags are being fired. The tag you just added should show up here. Step 5: Once you’ve verified that your tags are firing as intended via the Preview/Debug mode, it’s time to create a container version and publish! 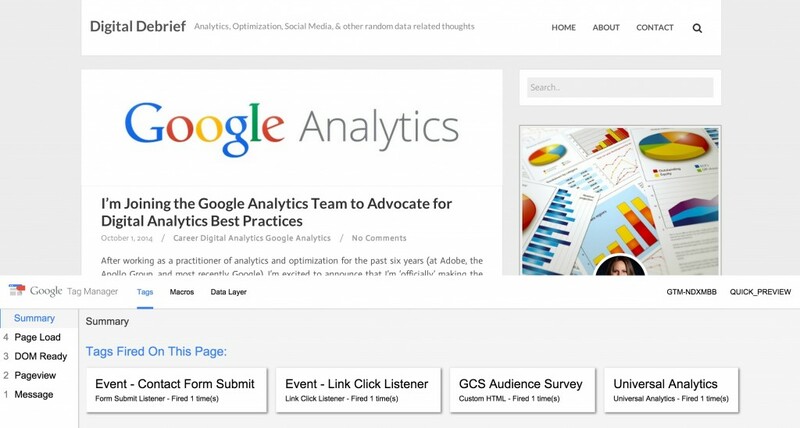 That’s it, 5 easy steps to install Google Analytics via Google Tag Manager on your WordPress blog. 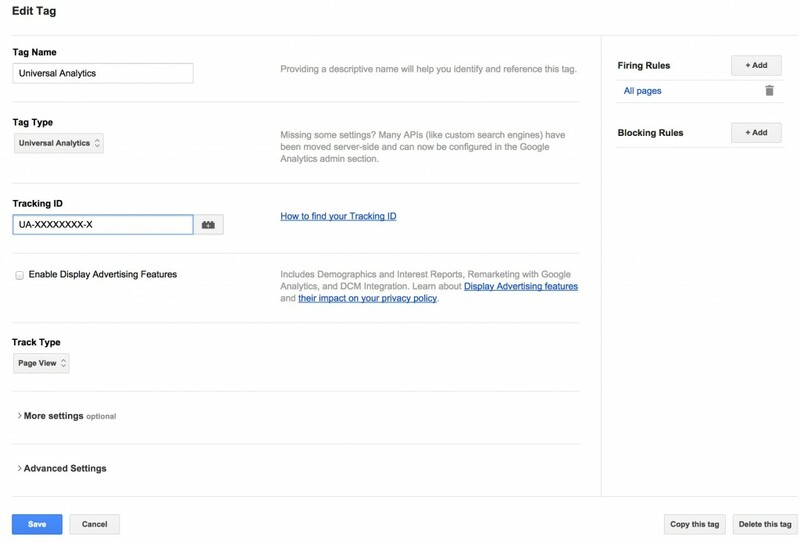 For more information about tag, rule, & macro creation, check out the GTM help center.